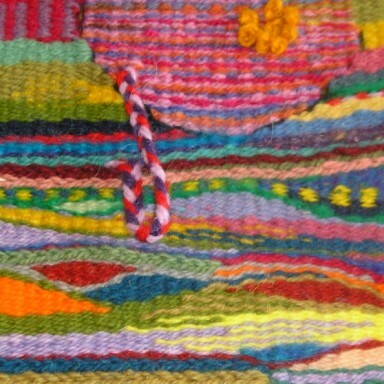 Hilary weaves rugs and wall hangings on commission and to exhibit. She also teaches tapestry weaving, felt making, warping, kumihimo and locker hooking. Hilary gives illustrated talks on woven tapestry.